This blog post has been housed in my head since I heard This American Life’s Episode 498 a few weeks ago. On our way up to the Korean culture camp on July 4th, I took the opportunity (long car journey) to catch up on my listening. My husband and I were seated in the front seat, listening. Act Two, The Gun Thing You’re Not Supposed to Do, began playing. A woman from Texas told the story of how her family prided themselves on their responsibility in teaching gun safety to the children. However, this woman, after the Newtown shootings, revealed to her family that she had, as a teen, secretly used the handgun hidden in her parents’ dresser, and narrowly missed shooting herself. At these words, I sucked in my breath. My husband looked, wide-eyed, at me. We both glanced to the backseat, but both kids were busy and distracted. That joke and the comments were not funny to me. I wanted desperately to stop the car and write it all down. Luckily, I was not able to do so because my post would have shown my initial anger. I like to think that I am not an angry person, but the misuse of the word “adopted” upset me. It hurt. Being adopted does not make you immediately “stupid” or an “idiot,” but hearing those words in the same conversation, in jest or not, does not help. I have the utmost respect for Ira Glass and listen to him every week, but his attempt at irony was lost on the brother, on me and who knows what countless others. This misuse of the word, “adopted” happens everyday. The Twitter page, @AdoptionHonesty, is documenting all uses of the word “adoption” and its derivatives. In the last post, I spoke about my calculated and careful writing when I write about race. But in actuality, I am mindful when I write every post. My goal in writing this blog began in 2007 as a way to record my feelings on my adoption, my race and my life for my children and their children. It would be my way of creating a family history that wasn’t oral, but concrete. As I transitioned from a private life blog to a more public presence, parents and grandparents began contacting me and writing me. They wanted to hear my stories. Since meeting other transracial adoptees and learning more online, I have heard many angry stories. I fear that anger only shuts down a conversation. To keep the conversation going, I can merely give my personal story and impressions. Hopefully, these stories will become threads in the fabric of families and the quilt of adoption. This entry was posted in adopted, adoption, family history, This American Life, Uncategorized and tagged @AdoptionHonesty, Act Two, adopted, anger, angry, family history, gun control, Ira Glass, language, negative, This American Life on July 21, 2013 by mothermade, the blog. This weekend, my son asked to watch The Avengers. I enjoyed the quick wit of Iron Man and the strength of the Black Widow. Thor’s use of adoption as an excuse to distance himself from his brother left me feeling sick and hurt. Come on, Hollywood. Be more responsible. This entry was posted in adopted, adoption, siblings and tagged adopted, Hollywood, negative, siblings, The Avengers on April 30, 2013 by mothermade, the blog. Adopted just three days apart, my friend Miya and I decided to read each other’s adoption letters. Strikingly, the language and tone of the letters were on opposite sides of an emotional spectrum. The word, “abandoned” has stayed with Miya her entire life. She struggles with this word. That word cuts me when I hear it. My other adopted friend, Amy M., pointed out the two uses of this word in the film Somewhere Between, and it angered her. One was spoken by an audience member at a panel discussion, and the other was said by the adoptive mother to her daughter’s birth mother. “We are pleased to tell you that we have selected a child for you who we think will fit nicely into your family. 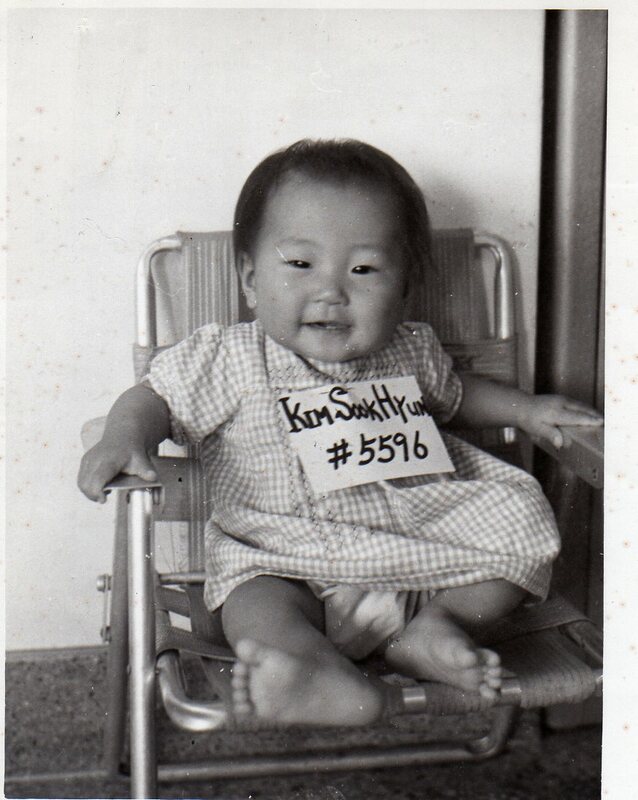 She is from the Chong Yang Ri police station on 24 May 1968 and admitted to us and placed at our Korean Foster Home on that day. Naturally, you are anxious to meet Kim, Sook Hyun. We have found that it is more helpful to the adoptive couples if they think of this first meeting as a time to get acquainted, and not as a time to decide whether or not this is the right child for you. It is a strain on both adoptive parents and child when their first meeting is interwoven with this question of acceptance or rejection, but this strain is removed if the parents have already made up their minds to accept the child, based on the picture and the information we provide and relying on Holt’s experienced professional judgment. 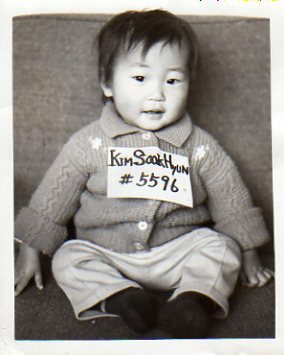 Here is the first picture of me that was attached to the letter; it is dated June 7, 1968. I look a bit frightened. Later, pictures show me happier, and all the pictures of me with my family show me at my happiest (until the teen angst set in). Words can hurt or nurture. In the recent WISE Up Conference that I described in an earlier blog post, I noticed that some of the younger children chose the “Walk Away” or “It’s private,” option quite often, even when the question was simply, “Hey, are you adopted?” That sent signals to me that they felt that it was something they should be ashamed of, or something others would interpret as negative. One youngster even said that she was jealous of the other kids who lived with their birth parents and who never had to answer ridiculous questions. Associate Professor of Child Development at Tufts University, Ellen Pinderhughes in this segment describes our families beautifully. So, let’s not only continue this conversation, but please post your ideas in altering the language of adoption. There are children all over the world being discovered everyday. Let’s make them feel like the treasures they are! This entry was posted in adopted, adoption, birthdate, Chong Yang Ri, mom, mother, Somewhere Between and tagged abandoned, abandonment, Adam Pertman, chosen, discovered, Ellen Pinderhughes, fortunate, jealous, language, Linda Goldstein Knowlton, Somewhere Between, treasure, WISE Up on April 29, 2013 by mothermade, the blog. On the sunny side of life? What a week it has been! I began my week helping at an adoption conference, WISE Up. I met some incredible young adoptees … all third graders. The conference allows the kids to talk about their adoptions and feelings in a safe place. It also gives kids the tools to respond to outsiders’ questions. They can walk away, say, “It’s private,” share something about their adoption story, or educate others about adoption and adoptees. As you can guess, I personally advocate the last two. I understand the need to walk away if a question is offensive, and many of the younger kids just need reassurance that they have the power to control the situation. Unfortunately, when acting out some of these scenarios, more often than not, the children chose walking away. Some scenarios just involved something as simple as someone asking if they were adopted. That had me thinking … is adoption a negative thing? Why do young children feel negatively about their adoptions? One girl mentioned that she felt jealous of those who asked her why she was adopted. She wanted what she perceived as the normalcy of a birth family. Looking back, I had some of the same feelings. They were often rooted in experiences in public or at school. In the comfort of my home, I would feel reassured that my home was indeed the place for me. Perhaps what needs to happen is a better atmosphere in which kids can feel proud of their adoptions. As children, we look for a clan. As I have written, there are many of us. In my childhood, I wasn’t aware of other adoptees. It took close to 40 years for me to understand that my experience was not unique. Adoption seems better supported than it was in the 1960s and 70s. This entry was posted in acceptance, adopted, adoptee, adoption, children, growing up, Kid President, Steve Jobs and tagged acceptance, adoptees, adoption, Kid President, Steve Jobs on April 17, 2013 by mothermade, the blog. Imagine being ethnically different from your classmates. Imagine feeling completely American, but knowing you aren’t quite like those around you. Imagine your fear in others discovering who you really are. International adoptees feel this way. While we may feel out of place in school, in our community and sometimes in our home, we possess an identity. Almost immediately we become American citizens, courtesy of our adoptive families. Now, imagine if you brought here at a young age, feel a connection with your community, but cannot fully enjoy being American solely because of where you were born? The immigration reform issue has touched me. More specifically, four extremely brave, young people have been on my mind. Their stories can be found on the website, The Dream is Now. I encourage you to watch the trailer. Much of what they say has played over and over in my head. Osmar says, “I’m full American. I speak English; I know the culture. I am from here. I have said some of these things, and I suspect that other international adoptees have felt some of these feelings. But that is as far as the similarities go. 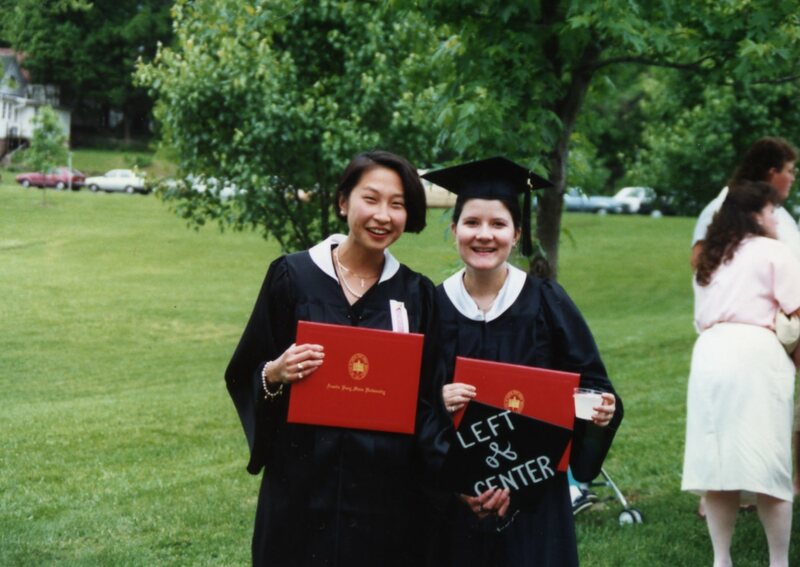 Adoptees are able to pursue college scholarships and degrees. We are granted all the benefits of being American. 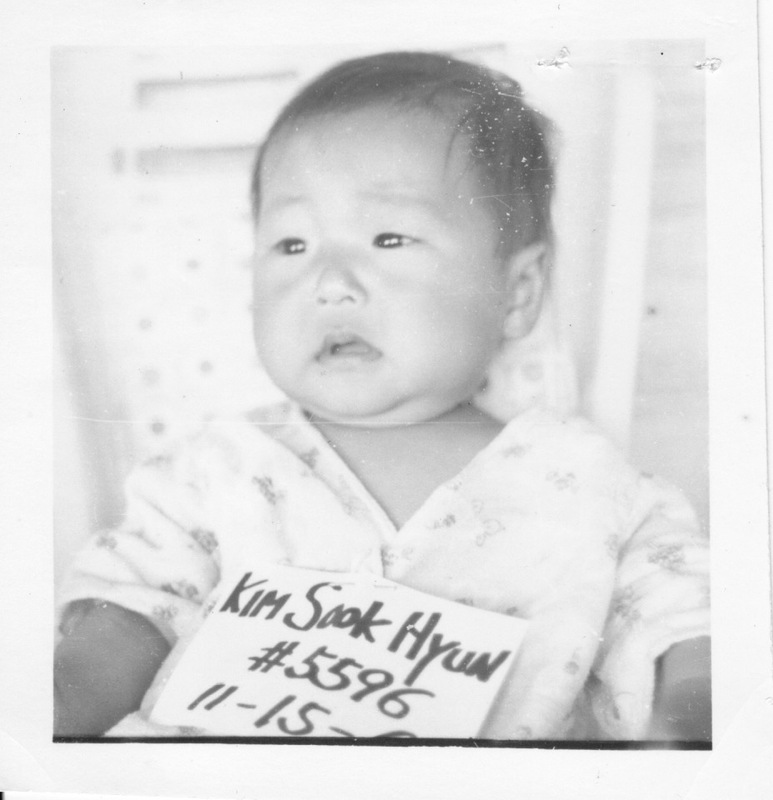 The interesting thing is that the Dreamers, too, have lived here as long as many international adoptees. They share similar experiences that relate to their ethnicity, while feeling completely American. Their faces could be our faces. Their voices could be our voices. Their dreams are our dreams. With my citizenship, I hope to make a difference in the lives of my fellow dreamers. Go Dreamers! This entry was posted in acceptance, adopted, alike, alone, American, ethnic identity, family, patriotism, race, Uncategorized and tagged dreamer, ethnically different, fear, immigration, immigration reform, The Dream is Now, US citizen on February 18, 2013 by mothermade, the blog. In 1993, my mother and I shared Valentine’s Day. Each of us would have been alone that Valentine’s Day, had we not had each other. For me, that day was V-Day or VD. I celebrated it as a day to enjoy my independence from the vagaries of love [LUUUUUhV]. My mother saw it as a day to celebrate her role as a mother. Our 1993 Valentine’s Day was the last one we had before I found another love. She would always remember this day in the years to follow. “I loved that we were spending THAT night together,” she would reply with a little sadness in her voice. In March of 1993, I found the man who insisted that he not complete me, but complement me. It was a whirlwind. We dated and moved in together that following September, against my mother’s wishes. 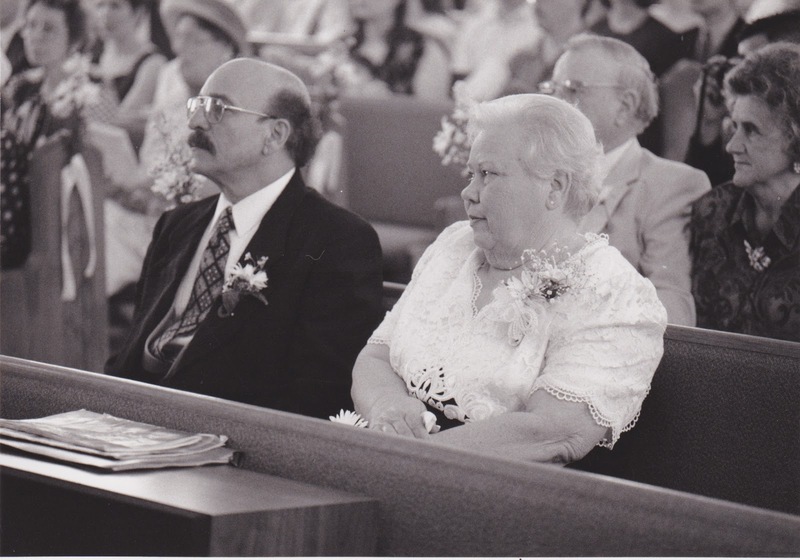 That Valentine’s Day in 1994 she would be despondent. For my mother, I think she felt her love had been replaced. On outward appearances, yes. Deep inside though, I still loved my mother as strongly as I had that prior Valentine’s Day. She would feel much better about this “replacement” when the man who had “taken” me “away from her” proposed in September of 1994. This became the point of healing. She had a wedding to plan, but it was still extremely painful for her to let go of her first child. My mother was not shy about expressing her feelings … to me and my future husband. I still see the mixture of pain and pride in her face in this photograph taken at our wedding (Image by Rob Heller). Someday, I will feel this pain in the same way. But for now, I enjoy the valentines my children give me and remember that evening so long ago at the Spaghetti Warehouse in Knoxville’s Old City. This entry was posted in adopted, love, mother, Valentine's Day on February 14, 2013 by mothermade, the blog.